This is a painting of the scaffolding on a building accross Elizabeth Street from the Sheen Center where my residency was. It was painted in August on a hot, hot day. 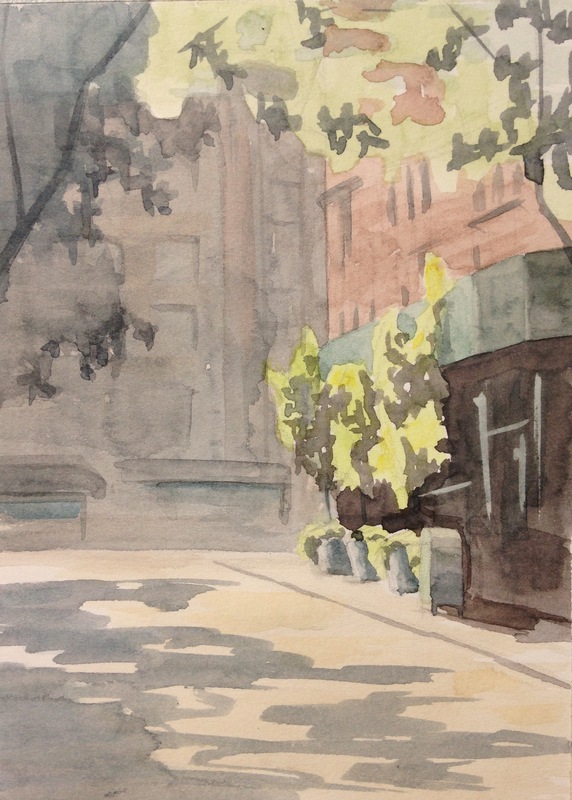 I had started the day out painting a different view – and painting in the shade. After an hour or so, construction vehicles pulled up and blocked my view, so I had to move. 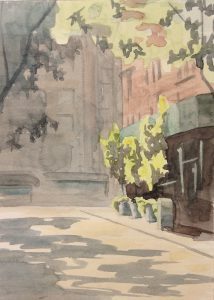 I went to the opposite side of Bleecker Street (I was standing on Bleecker) and looked around for a new composition to paint. My eyes fell on the trees poking out from under the scaffolding.